Although there are few bridle paths over and around the hill, cyclists have been granted permissive access by Cheltenham Borough Council to most areas of the hill and common. However, the open grassland is delicate and is protected by law (Site of Special and Scientific Interest). It is vital that cyclist only ride on established tracks, of which there are plenty for your enjoyment. The hill is very popular with both cross country mountain bikers wising to transit over the hill to access other local riding areas and with downhill mountain bikers who use the network of steep technical trails located within the wooded areas on the escarpment above Daisybank Road. 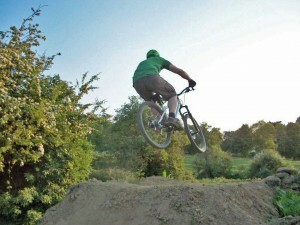 Cheltenham Borough Council has also provided a pocket of land in Daisybank Fields specifically for dirt jumps. This has lines of dirt jumps for novice and more experienced riders. Respect other users on the hill and be prepared to give way when appropriate. Stick only to established tracks and keep of grassland areas. Be in control of your bike at all times. If the track you are riding (especially a technical downhill one) crosses a path used by those on foot, be especially careful and observant. If riding downhill tracks for the first time you are advised to walk sections first or at least ride well within your limits. 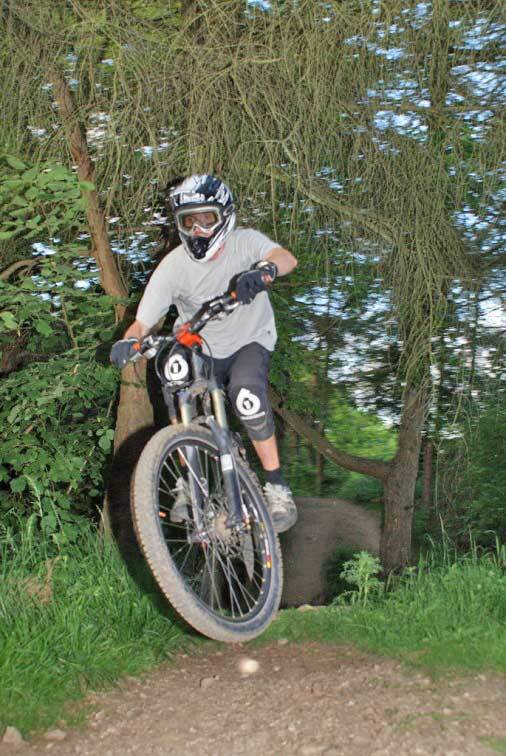 Always consider wearing a helmet and other protective equipment such as gloves and knee pads. Do not make alterations (including maintenance) to any track without consulting Cheltenham Borough Council. You must take any litter home with you or deposit it in a litter bin. Do not litter our beautiful countryside.